Mother’s Day is coming up soon. 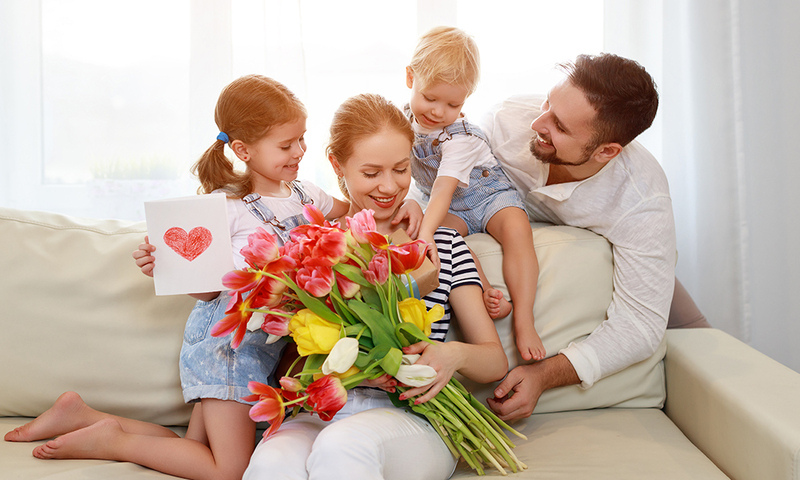 As you gather flowers, plan a nice Mother’s Day brunch, and quickly order a last-minute gift on Amazon (if you have kids, don’t forget your wife! ), it’s easy to get wrapped up and just thank your mother for… well, just being your mother. There’s nothing wrong with that per se, but it’s always a good idea to step back and really think of all the things your mom did and does for you. Moms are pretty awesome. They have more hats to wear than a hipster in a hat store. They’re chefs, doctors, social workers, hostage negotiators (sorry, Sis! ), and even monster slayers. How many times did you hurt yourself, and your mom was there to make it all better? How many times was there a monster in your closet, and your mom bravely stormed in and saved you from the ferocious beast? Moms are basically superheroes – superheroes who never get to take off their masks. Their name and life before kids is now just a secret identity that only gets to come out on rare occasions. Their heroic deeds become so commonplace that they themselves need to be reminded of all the good they do. A few years ago, my mom was lamenting the fact that she never really got to use her college degree. You see, she got a bachelor’s in social work from Cornell (my mom’s smart! ), but she decided to be a stay-at-home mom and take care of me, my three siblings, and whatever other kids we dragged home begging her for snacks. Now, it would be easy to tell her that she got to use that degree in taking care of us four crazy kids. That was most certainly true! Taking care of us was, without a doubt, a full-time job, but she also did so much more than that. Brother, it’s our job to remind moms of the great and important job they are doing. My mom didn’t just take care of us, she took care of everyone! My mom was THE mom that signed up to make meals for families when there was a need. You just had a baby? My mom made you an enchilada casserole that would last a week. You need a place to stay? There’s a fold-out couch in our den and a military grade pot of chili on the stove with your name on it. Beyond all that normal supermom stuff (as if that wasn’t enough), she was also in charge of our church’s hospital ministry. You see, our city had one of the premier cancer research hospitals in the country. People from all over would go there to be treated, which meant they and their families were leaving their homes, their friends, and all their normal comforts – all while dealing with sickness and possible death. They needed a smiling face, and it was my mom who was one of the first people smiling at them. She’d bring food (her cookies are legendary), find gifts for the kids, and connect these strangers to support systems that would help keep them going. With that ministry, she was a comforter, a friend, even a mom to hundreds if not thousands of people who needed help. She was there with a big smile on her face and the love of Jesus in her heart. So, when she told me she felt she never got to use her degree, I almost laughed. Not only was she a social worker, she was a super social worker! Sometimes moms aren’t the best at looking at the big picture. Especially when it comes to how they fit in it. Who can blame them? They are under a constant barrage of needs, wants, broken toys, owies, boo-boos, grumbly tummies… and that’s just their husbands! So, brother, it’s our job to remind moms of the great and important job they are doing. And let’s not be generic and thank them for just being “Mom.” Let’s be specific and show them all the ways we appreciate them for all the ways they take care of us.